Ever year I anticipate receiving one of my favourite packages, a curated beauty box from The Kit that they claim are One-Minute Miracles. 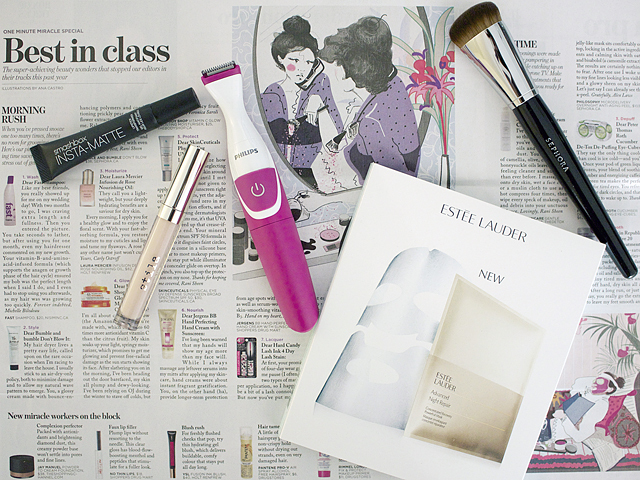 Being in the beauty/lifestyle space here on the Internet, I'm fortunate that I get to try a lot of these products (and more) throughout the year, but I can definitely see how it would be valuable for readers when they are choosing what to spend their money on. After spending the last few weeks giving a lot of these items a try, I've narrowed it down to the five that I truly loved and have now added to my must-have beauty + skincare products. Smashbox Insta-Matte Lipstick Transformer: This one sounded to good to be true. Everytime I've tried a lip product that changes it's consistency or look, it either causes a lot of cracking or doesn't last throughout the day. However, you dab a little bit of this on your shiny lipstick or gloss, and it will instantly begin to mattefy! I've played with a few different formulas now and I love how it turns the colour into a stain, making it long-lasting and moisturizing as well. 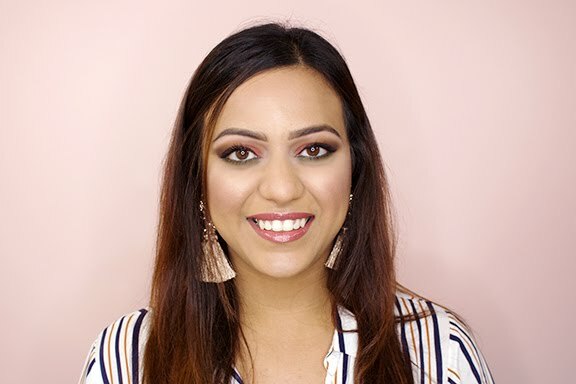 Stila Lush Lips Water Plumping Primer: I'm a big believer of primer; for the face, eyes and even hair! I came across this lip primer at a Shoppers Drug Mart event a few weeks ago and was sad that I didn't purchase it that day. As soon as I saw it in my goodie box from The Kit, I began using it basically the next day. The formula is smooth and glides on nicely. I usually apply my lipstick as soon as I noticed that my lips have soaked it all up to avoid mixture of the two products. I do find the primer a bit sticky, especially if I don't wait for it to dry properly, but it helps my lips stay hydrated and moisturized. 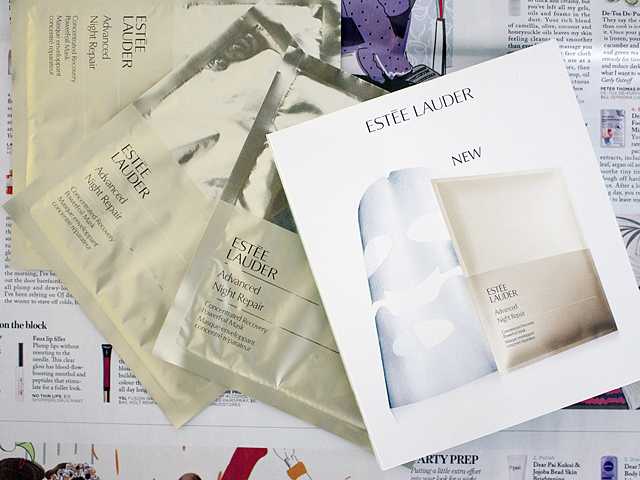 Estee Lauder Advanced Night Repair Masks: Firstly, I want to point out that these masks are NOT cheap. For 4 in a pack, you'll be paying more than $80. But considering the quality ingredients and how it's dermatologist-tested, it's one of those products you should think about splurging on. It's recommended that you use the mask once a week (at night), leave it on for 10-15 minutes, remove it and then massage the remaining liquid into your skin. You will notice great results almost immediately, and it will leave you and your face feeling so relaxed that you'll look forward to doing it again the week after! 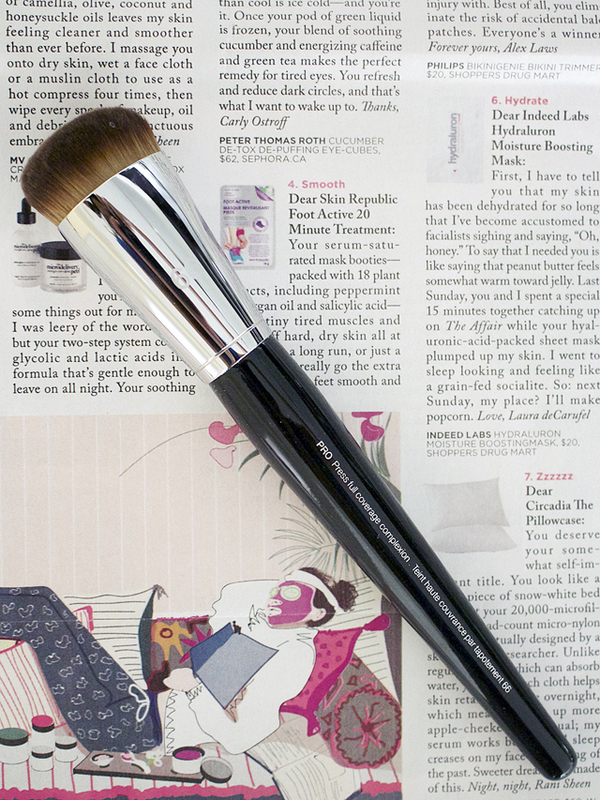 Sephora PRO Press Full Coverage Complexion Brush #66: While I'm obsessed with my beauty blender, I still like to explore other options when looking for a flawless finish, and I was VERY impressed with this all-in-one brush. You can use it to apply your foundation by tapping it on your skin, but it doesn't absorb or wear out like your typical foundation brush or sponge would. It feels really gentle on your face too! 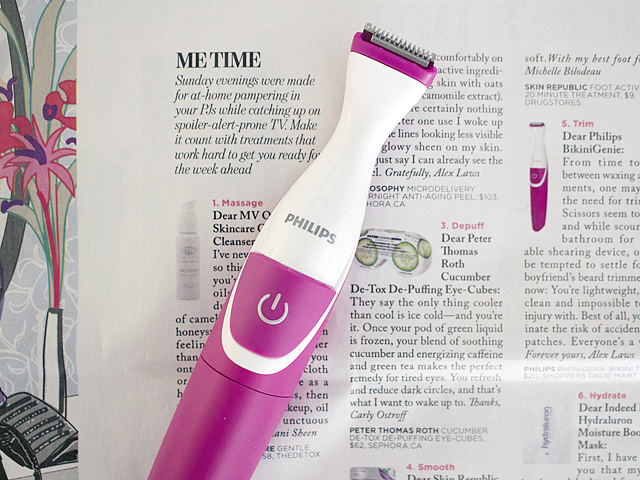 Philips BikiniGenie Trimmer: Okay, I know we don't often talk about body hair here on SummerxSkin, especially what happens down there, but I absolutely had to share how impressed I was with this trimmer! It works well (even in water), doesn't itch or hurt, and is so reasonably priced that I encourage you to pick one up as soon as possible. Hope you enjoyed my mini reviews of the products above. 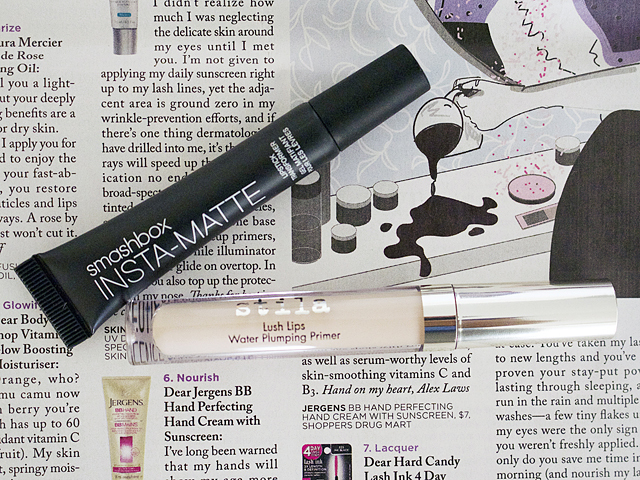 Be sure to check out the One-Minute Miracle products I loved in 2014 and 2015!